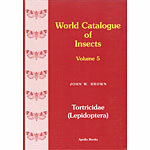 Use this page to search for a particular genus or species in the photo database. Type either a genus, species, or both in the fields below and click "submit" to view the results. This page will return both type photos and identification photos. You can also search on partial text matches, for instance entering "pulche" in the species field will return both Acleris pulchella and Dichelopa pulcheria.